WATCH LIVE: CMPD holds news conference to discuss the department's body worn camera program and what the Patrol and Special Operations bureaus did earlier this week that led to the peaceful resolution of a situation that had potential to become lethal. CHARLOTTE, N.C. (News Release) — The Charlotte-Mecklenburg Police Department (CMPD) is launching an educational campaign about the officer-involved shooting investigation process as well as the body worn camera video release procedure to help the community understand methods involved and timing associated with the release of information. 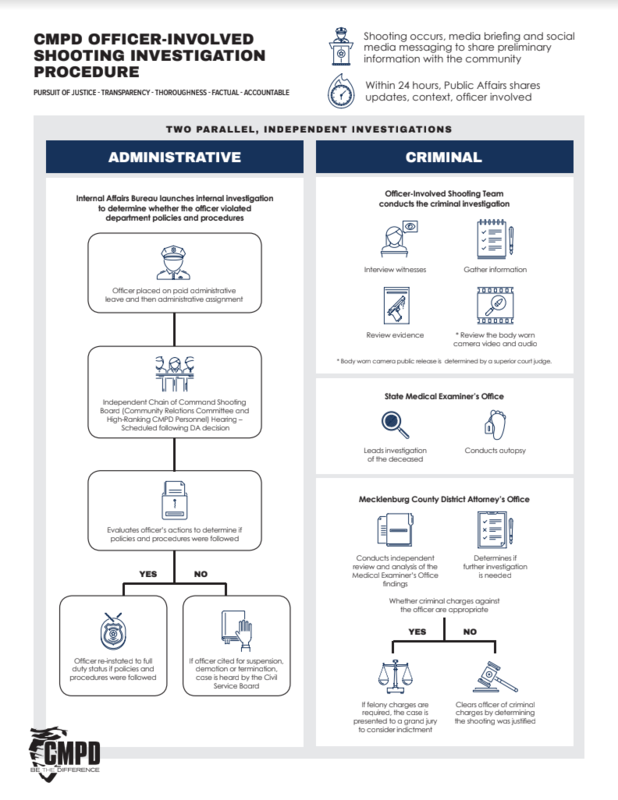 Administrative investigation: The officer’s actions are reviewed by the Internal Affairs Bureau to determine if he or she followed department policies and procedures during the incident. Criminal investigation: The officer’s actions are reviewed by the CMPD Officer-Involved Shooting Team, the State Medical Examiner’s Officer and the Mecklenburg County District Attorney’s Office. 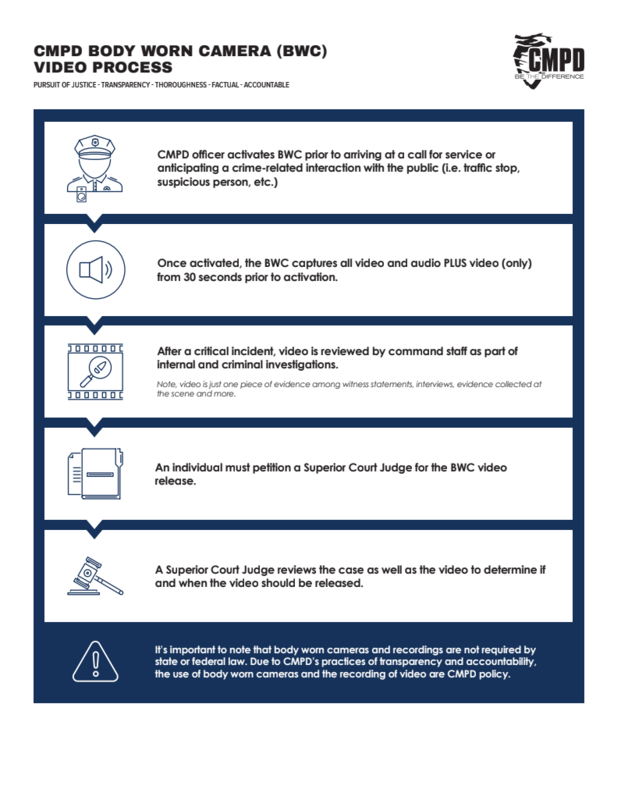 For more information about the officer-involved shooting investigation protocol and body worn camera process, CLICK HERE.